George R. Lucas, Jr., our General Editor for the Critical Edition of Whitehead, recently completed an east coast crawl that included visits to several archives that held Whitehead-related papers. While combing through the Victor Lowe and Whitehead papers held at Johns Hopkins, he not only recovered numerous letters, photographs, and student notes, but also one item of special interest: Whitehead’s appointment book for 1924-26. This is an exciting resource for us to have as we are in the midst of editing student notes for 1925-27, as it gives us a better idea of when Whitehead met individually with students, when he met with other friends and colleagues, and explains some of his classroom absences. In reviewing this appointment book, I noticed something interesting. For the fall of 1925, Whitehead wrote “Woods at 3-4” (or some variation thereof) for every Monday, Wednesday, and Friday. 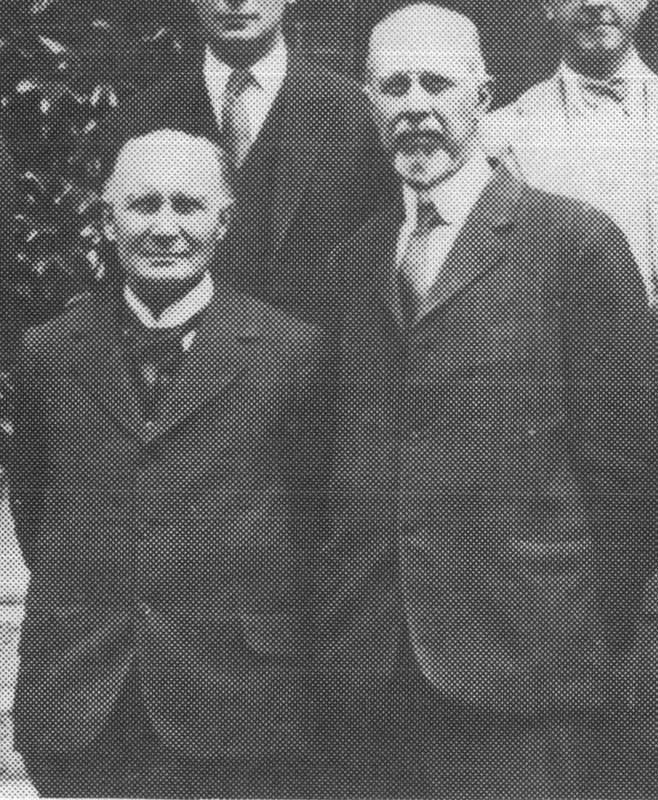 James Haughton Woods (1864-1935) was the philosophy department chair, so it’s possible that these could have been departmental or private meetings, but it seems more likely that Whitehead was regularly attending one of Woods’ classes. How much might Woods (who was an expert in Greek and Indian/Buddhist thought) have influenced Whitehead’s thought, particularly with regard to Plato and Buddhism? Lowe opined that Whitehead’s references to Buddhism in the Lowell lectures owed much to Woods (volume 2, p. 195), who was apparently Whitehead’s closest friend in the department. Woods, at fifty-nine, was the oldest of the tenured philosophers at Harvard. His teacher, William James, had suggested that he enter the field of Indian philosophy. He became expert in it, in Far Eastern thought, and in Greek philosophy. He is now forgotten because he published so little… He was intensely proud of the Harvard Philosophy Department, and raised money from outside sources to strengthen it. Woods was the one who got assurance from President Lowell that he would not veto Whitehead’s appointment on ground of age (as he had vetoed the offer of a professorship to John Dewey [Whitehead was only a year and a half younger than Dewey])… Whitehead felt more at ease with [Woods] than with anyone else in the Department… Woods helped him with everything, and for many years was his most valued colleague in the Philosophy Department. It is inevitable that a man so extravagantly endowed should be imperfectly embodied in his published works. The soil from which these sprang, their context of unused learning, their surrounding and sustaining medium of experience and sensitive discernment, are perpetuated in what he gave during his life to his students and friends, and in the grateful love which this giving inspired. We may never know the extent to which Whitehead’s thought on Plato was influenced by what he heard in Woods’ lectures. Unless someone later digs up notes from Woods’ classes in the same way that we’ve dug up notes for Whitehead’s, we have no points of comparison. But this recent discovery is a good reminder that Whitehead’s philosophy, as startlingly original as it is, did not emerge out of a vacuum, with Woods being only the latest example of a largely overlooked influence to whom Whitehead may have owed an intellectual debt.